NOOOOOOOO! Say It’s Not So! Deadline is reporting this morning that the Logo cable network has dropped U.S. coverage of the Eurovision Song Contest finals this year, despite a net gain of 10,000 viewers for the live broadcast of the 2018 finals, which saw Israel’s Netta take top honors with her infectious hit “Toy“, which became a worldwide smash, including here in the U.S. where it hit the top of the Billboard Dance chart last September. After being hugely popular around the world for six decades, the cable broadcaster became the first U.S. Network to carry the show in 2016, and continued coverage in 2017 and 2018 as well. Timing couldn’t be worse for this to happen, as Eurovision announced yesterday that Madonna had agreed to be this year’s finals interval performer. It might not matter, however, as when Justin Timberlake appeared as the interval performer a couple of years ago, the US was not allowed to show the performance due to already stringent copyright issues, and Madonna’s performance could be affected by the same issue. 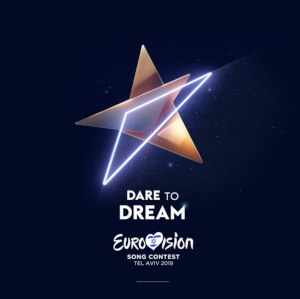 Needless to say, I’m totally bummed out right now…but it won’t dampen continuing coverage of Eurovision here and on The Kirkham Report and Planet Bibliomusica – check daily as I count up my picks for this years’ best songs!